Over 40 municipalities in the province of Limburg (Flanders) are coming together to form S-LIM, the Smart Region Limburg project. In association with the European Commission’s Smart Cities initiative, the newborn alliance aims to exchange information and best practices in order to improve public services and space. “This massive collaboration creates opportunities: complex matters like mobility are impossible for small municipalities on their own,” says Raf Drieskens, chairman of S-LIM. Smart street furniture or a mobile app showing all free parking spaces in Limburg are some of the first possible S-LIM projects that come to mind. The large-scale initiative is bound to increase efficiency and will be a big advantage for smaller towns in particular. Cooperation will enable even the smallest towns to capitalize on Smart Cities project opportunities. TomorrowLab, a Flanders-based strategic consultancy agency, will help plan and guide the exchange of information and best practices between the participating municipalities. Furthermore, its goal is to support each town in concretizing its own vision and create specific applications that can be adapted by the whole region. This collaboration project is massive, but not entirely unique in Flanders. 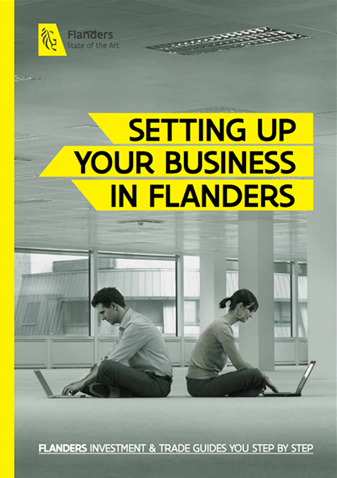 Last year, the government of Flanders introduced Smart Flanders, a region-wide program connecting 13 cities in Flanders and the capital of Brussels to jointly participate in the EU’s Smart Cities initiatives. For more information on smart cities in Flanders, visit our digital society page.